Interesting facts about Lions | Do You Know? 1. The largest lion was recorded to be nearly 700 pounds and nearly 11 foot long. 2. Tigers are so similar to lions that without their coats, their bodies look so similar only experts can tell them apart. 3. A lion can drink for as long as 20 mins after eating. 4. A lion can run for short distances at 50 mph and leap as far as 36 feet. 5. Even though the lion is sometimes referred to as the “king of the jungle,” it actually only lives in grasslands and plains. The expression may have come from an incorrect association between Africa and jungles or may refer to a less literal meaning of the word jungle. 6. African lions are the most social of all big cats and live together in groups or “prides.” A pride consists of about 15 lions. 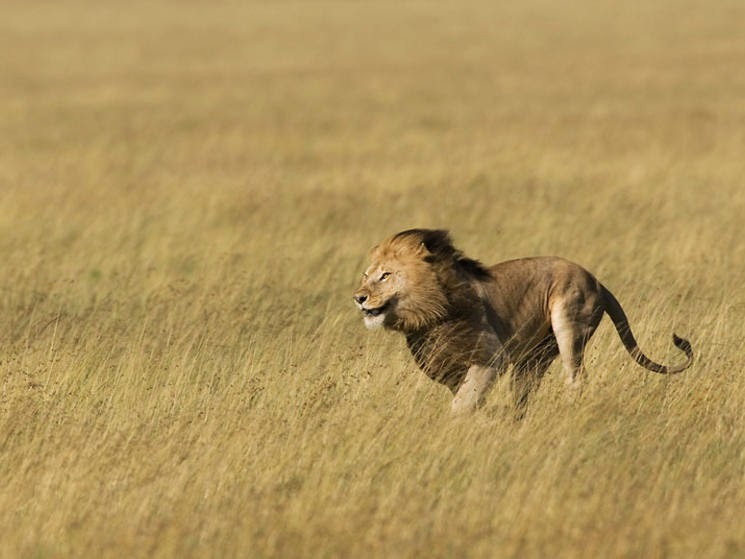 7.The females in the pride tend to do the majority of the hunting. They work as a group and use intelligent hunting tactics to catch prey which they would not be able to catch alone as they are faster than them. 8. 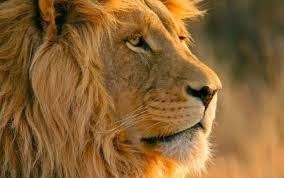 The lion was once found throughout Africa, Asia and Europe but now exists only in Africa with one exception. The last remaining Asiatic lions are found in Sasan-Gir National Park in India, which was primarily created to protect the species. Currently, there are approximately 350-400 lions in the park. 9. A lion’s roar can be heard from as far as 5 miles away. 10. A lion’s heels don’t touch the ground when it walks. 11. Lions enjoy relaxing and lazing around. They spend between 16 and 20 hours each day resting and sleeping. 12. Lionesses are caring mothers who will even take care of a neglected cub, allowing him/her to suckle and giving them a chance to survive. 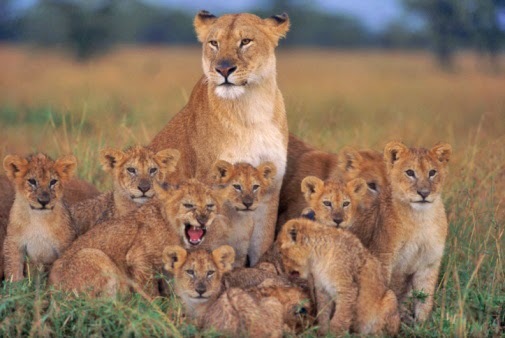 Two or more lionesses in a group tend to give birth around the same time, and the cubs are raised together. Cubs are extremely playful. 13. Lions roar to communicate their position to other prides. 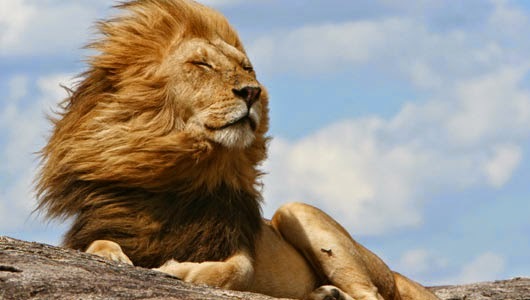 A lion’s roar is the loudest of any big cat and can be heard up to 8 km away. 14. Lions have terrific night vision. They are 6 times more sensitive to light than humans. This gives them a distinct advantage over some prey species when hunting at night. 15. Lions communicate through a range of behaviours and their expressive movements are very highly developed. They will perform peaceful tactile actions such as licking each other and rubbing heads.